What? King of YouTube?! No! Ray William Johnson (or Smosh, etc.) is the King of YouTube. Or maybe you have your own favorite YouTuber who admire. I hear you. But while most of the successful guys and girls on YouTube are vloggers, comedians and generally have this TV personality which not everyone else has, everything what Devin Graham does can be replicated. That's why we can actually learn some valuable lessons by studying his work. It's not about the looks. It's not about an interesting personality. It's not even about expensive video gear or software. Speaking of software and gear, he edits with Final Cut (for Mac) and shoots with Canon 5D Mark II, Mark III, GoPro HD camera and Contour HD. 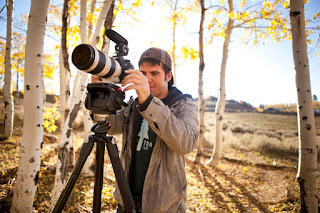 He also uses Glidecam HD 2000 and 4000 to stabilize his shots. Tripod - Manfrotto 055XPROB Pro with Manfrotto 501HDV Video Head. So how does one make viral videos? You don't have to create a popular video out of thin air. What you can do instead is find a topic that's already hot and create a video around that topic. For instance, Devin does a great job applying this approach to video games. Now, video games have a massive following. There are millions of users out there who play these games and thus you can tap into an audience that's already receptive to anything related to their favorite game. It's kinda how Blendtec did with the iPad. Will it blend? Of course! The iPad is a popular product so Blendtec gets a free ride on that popularity. Smart, eh? In other words, don't shoot boring subjects. 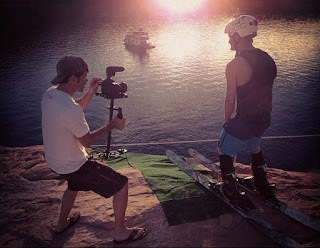 Most of Devin's videos are about extreme sports, jumps, swings, crashes, splashes and what not. Think of something out of the ordinary and do an extra effort to go to a nice location for the shoot. You also have to combine this with sunny weather. If you have sunshine and blue sky in your video, you're gonna sell the story better. I've talked about this in a previous article: 3 Ways To Make Your Video Look Better (and Get More Views as a Consequence). I don't know if you're familiar with John Grisham, the writer. You've probably seen some movies based on his books (The Firm, Runaway Jury, etc.). The life of a lawyer is pretty boring. All you do all day is read legal books, do mundane paperwork, sift through tons of dull documents. No one wants to read about that. People wanna read about the guy who took all the money, ran away overseas and escaped the mafia guys who wanted to kill him. Now that's how to NOT be boring. I mean, you could use the best camera and then apply the best color grading and cinematic effects but if your video is about...tree hugging, don't expect to get as many views as a cliff jumping video might get. So, if good artists copy and great artists steal, why not steal Devin's approach to making clips, right? 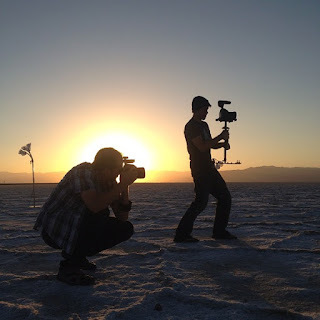 You don't always have to find a hot product or topic to create a video around it. So Devin published Puppy Christmas, Puppy Easter and Smashing Pumpkins in slow motion for Halloween. Millions of views. New exposure. New Business. Nice! 4. Be more than a filmmaker. Think like a marketer. Take this 4th tip as a bonus. :-) It might be the most valuable lesson that we can learn from Devin. Now, for the simple fact that he shoots the video gaming clips, I think he's a brilliant marketer. Think about this: for every video that he does, there can be at least one connection to a potential advertiser. So not only he publishes a great video but the video itself is a great vehicle for business - coz it can be sponsored by lots of companies: clothing lines, software, camera gear, etc. And then, since he owns the footage, he can sell stock video to other production companies. 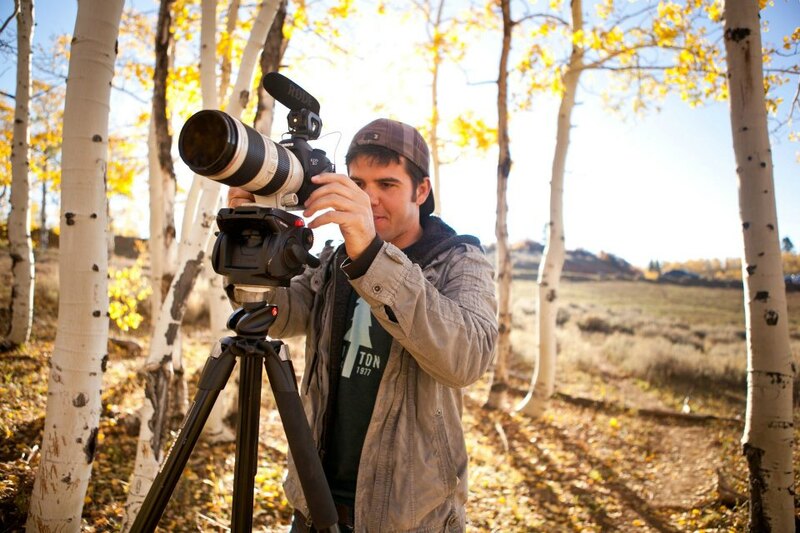 A well rounded business model that includes his passion for shooting and editing videos. I think you remember Gordon Gekko from Wall Street (1987) movie. He didn't wanna gamble with his trades. He only went in if he knew he was gonna make money. That's kinda the status that Devin has reached. No video of him is blindly published. He takes care of all the details (timing, props, location, good athletes, good actors) and when he uploads that video to YouTube he already has a sense of how big it's gonna be. And the interesting part is this: even if some videos won't be as good as the others, he'll still get a ton of views from his massive subscriber base. But he has all that gear and those sponsors... I can't do that. Yeah...but NO! He used to work a lot for free and he still does I guess but he always thought long term. Once he had a viral video, he was able to use that as a leverage to get the next company to sponsor his next video and so on. So basically anyone can do this. All you need is just one good video and from then onward, you'll have a track record to show. There you have it. Viral video exposed. If you wanna know what Devin is up to, follow him on Twitter, Facebook and check out his blog. Don't forget to subscribe to his Behind The Scenes YouTube Channel if you wanna learn more about filmmaking. saw his videos on youtube. the guy has the greatest shots. no wonder he gets millions of views. nice how you 'deconstructed' his approach. thanks! Yeah, his vids are huge. Thanks, Mark! Thanks for this article ! :) And you might add that more than anything, Devin is one of the kindest person on earth, in my opinion. I had the chance to talk with him when he was in Paris filming his last Assassin's Creed video, and even though he has plenty of fans, tons of view, amazing sponsors, etc., he still is humble and thankful toward his fans ! I bet he is. It comes through in his BTS videos as well. Cheers for the comment!